Zephyr Ventilation, the industry leader in ventilation hood design, innovation, and technology, has received the GOOD DESIGN™ Award for Limited Edition Okeanito and appliance DESIGN Excellence In Design (EID) Awards for Wave and Lux Island. Limited Edition Okeanito, Wave, and Lux Island are all part of Zephyr’s Designer Collections (Cheng and Arc, respectively) that combine timeless design with simple, geometric forms to bring a new sophistication to the kitchen. GOOD DESIGN™ is the world’s most prestigious, recognized, and oldest Design Awards program organized annually by The Chicago Athenaeum Museum of Architecture and Design in cooperation with the European Centre for Architecture, Art, Design and Urban Studies. The awards recognize the most innovative and cutting-edge industrial, product, and graphic designs produced around the world and the jury selected more than 900 product designs and graphics from 48 nations. Limited Edition Okeanito was recognized for its innovative use of materials (available in Rose Gold and Black Mirror Stainless) and groundbreaking technology, including Zephyr’s Bloom™ HD LED lights that were designed in partnership with commercial camera lens designers. Wave, an elegant vertical style hood, was honored with a Gold appliance DESIGN EID Award, which recognizes outstanding achievements in innovation, design and functionality. A prestigious panel of judges from respected industry associations awarded the entries in ten industry categories for innovation, simplicity, strong functionality for the user, optimized capabilities, environmental footprint, energy-, and cost-savings. Wave was honored for its sleek, vertical style, and Dual Capture Zones that collect contaminates through two entry points (back and front) to improve capture performance and ensure a smoke- and debris-free kitchen. Lux Island received a Bronze EID Award for its integrated design, industry-first ti-level LED lights, and Perimeter Aspiration. Since 1997, San Francisco-based Zephyr has continued to bring design, innovation and technology to the forefront of the kitchen ventilation hood industry. The company has challenged the perception of what ventilation means in kitchen design and created a new awareness of the importance of a high performing ventilation system. With acclaimed talent such as artistic visionary, Fu-Tung Cheng, and industrial designer, Robert Brunner, Zephyr is able to create cutting-edge residential range hoods unlike any other company. In addition, Zephyr has pioneered ventilation hood technology with the industry’s first DCBL Suppression System™; an exclusive innovation that delivers the most silent, energy efficient and performance-driven range hoods available today. 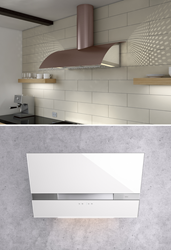 As a direct result of its commitment to elevating range hood design and technology, Zephyr is the recipient of several prestigious awards including Consumer Report Buy Rating, Consumer Digest Best Buy Rating, Chicago Athenaeum Good Design, ADEX (Awards for Design Excellence), Appliance Design ‘Excellence In Design’, Spark Award and the Architectural Products ‘Product Innovation Award.’ To learn more, visit http://www.zephyronline.com. Zephyr is a subsidiary of Nortek, Inc., a global, diversified company whose many market-leading brands deliver broad capabilities and a wide array of innovative, technology-driven products and solutions for lifestyle improvement at home and at work. Please visit http://www.nortekinc.com for more information.